Some of those arrested will appear in court tonight. 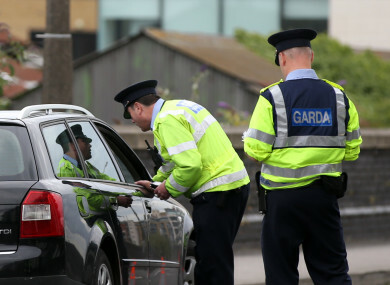 A total of 60 checkpoints were carried out by gardaií. AN ANTI-CRIME crackdown in the Kilkenny area has seen 55 people arrested over the course of three days, according to gardaí. Operation Storm began on Monday and concluded today with gardaí saying that 39 people were arrested on suspicion of criminal activity with another 16 detained on foot of warrants out for their arrest. The intensive anti-crime operation has seen people arrested on suspicion of a variety of offences including drugs, thefts, assaults, fraud, robbery and burglaries. Sixteen people have already been charged and are due to appear in court over the next few weeks, three will appear in court tonight. The operation was designed to show a visible increase in gardaí on the streets with 60 checkpoints set up and 27 trainee gardaí assisting local officers and members of the Regional Armed Response Unit. A total of 19 searches were conducted over the three days with 10 drugs seizures confirmed, three for simple possession and seven on suspicion of sale and supply. One vehicle was also seized during the operation. Email “A major anti-crime crackdown in Kilkenny has seen 55 people arrested over three days”. Feedback on “A major anti-crime crackdown in Kilkenny has seen 55 people arrested over three days”.